newegg is selling the vg271u. wise to get it from newegg? 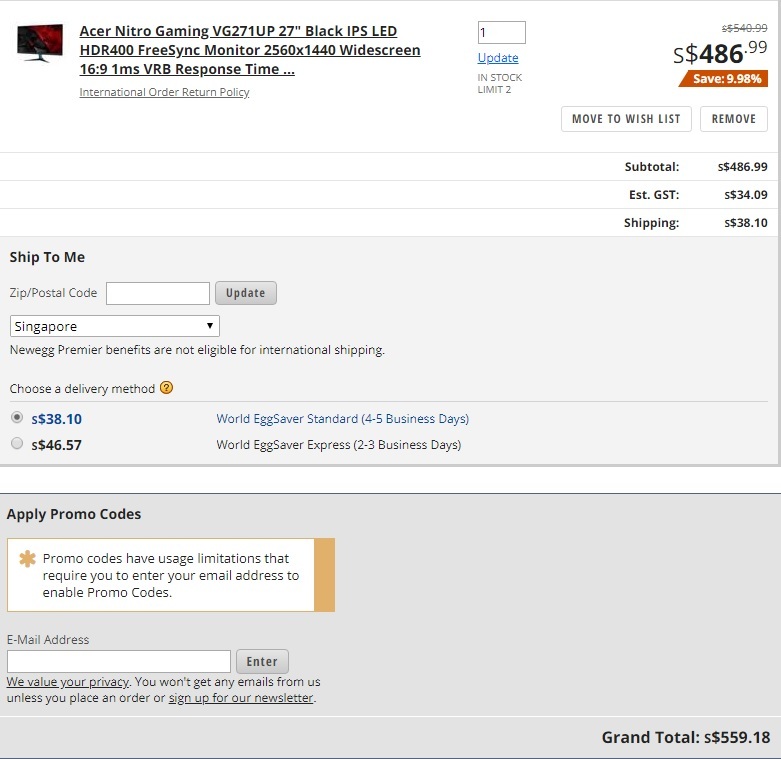 Newegg total price inclusive of gst + shipping is $560 and no local warranty. Might as well buy from qoo10 using coupons which might end up being cheaper and you get 3 years local warranty on top. Last edited by Elysium87; 22-02-2019 at 11:39 PM..
Last edited by xtractor; 23-02-2019 at 07:41 PM.. The Gsync model is higher cost primarily from the Intel Altera Arria V series FPGA aka gsync module. Not in bulk around a thousand.